Usually when you have some stale bread laying around, the internet tells you to make bread pudding. 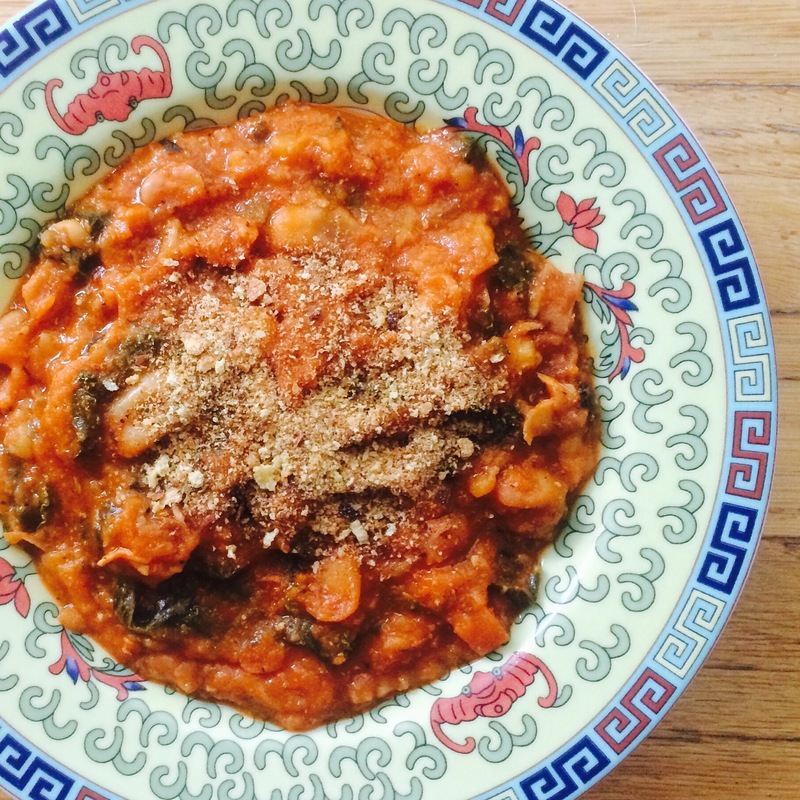 But here I am telling you that if you haven’t tried it before, you have to bring some ribollita into your life. Ribollita is basically a soup that has been thickened with stale bread and then becomes a delicious and filling stew. It’s known as a peasant food, but hey, lobsters were once only given to prisoners, and today they charge like $20/lb in restaurants for it. I made the one in the picture on the fly with some parmesan rind broth that I had in the freezer. I remember throwing in some beans, stale bread, swiss chard from my container garden, crushed tomatoes, and some other things. Since I can’t give you my own recipe, since I basically threw things into a pot (which is pretty much what ribollita is), I’ve compiled some ribollita recipes from around the web for you.